Find the best Haggis Adventures trips. 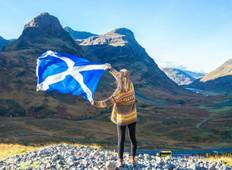 From Scotland to England, TourRadar offers 12 tours through 2 countries from Haggis Adventures. The tours span across 3 day to 10 day itinerary with prices ranging between $73 to $240 per day. "I went on the Skye High Tour and had Jamie as our tour guide/bus operator. He was..."
"Awesome trip! Yvonne was a wonderful tour guide . We didn’t know what to expect,..."
"I loved our ten day tour and Kirsty was a wonderful driver and guide, very knowledgeable..."
"Considering I booked this the day I left for Europe, I had no expectations. But Ian..."
"This tour actually rocked!! Christmas with Haggis is something that I will never..."
"I experienced so much more than I thought I would! We hiked, we explored, we learned..."
"The reason this trip was hot was Scot! His knowledge and love for Scotland were evident..."
"Absolutely fantastic tour. Yvonne was amazing. 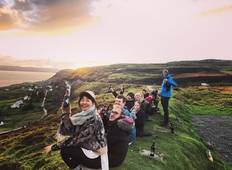 A brilliant tour guide with immense..."
"Had a fantastic trip with Duncan, he was always there for the group, he had great..."
"Kristy and the Haggis Adventures Team make any of their trips effortless, just show..."